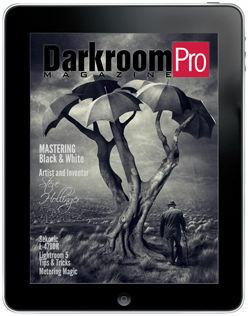 Of course the best way to enjoy DarkroomPro Magazine is on the iPad. Click the App Store button to download for free on the Newsstand! 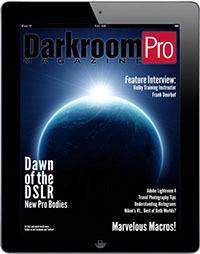 'Like' us and click the appropriate iPad cover to get free PDF versions of DarkroomPro Magazine! 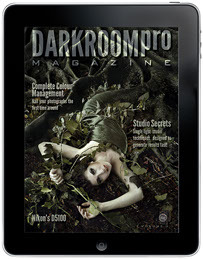 If you're on Android, or just want to view the magazine on your computer, downloading the PDF is the way to go! Note, the First Edition depicted at left utilizes screen captures of the magazine, as the original files were lost in the transition to the new platform. It is still very legible however; and all of the other issues are correctly converted into PDF using scalable text and imagery. For PDFs of our other issues, click on the appropriate covers below. Note: Interactive features are disabled in PDF versions which are being provided so that our new users can read content on devices other than the iPad. Additionally, the resolution of the graphics is slightly lower than the tablet counterpart to help ease server load. 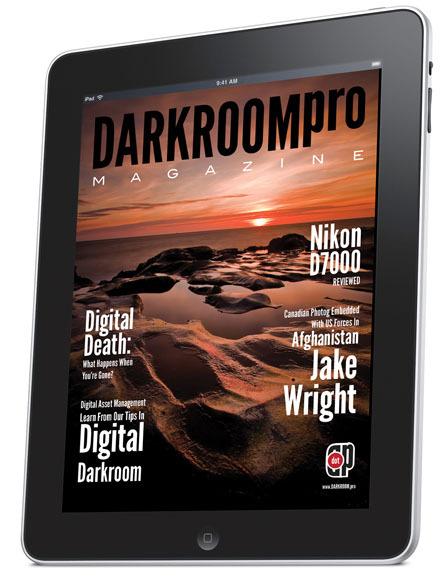 As always, for the best experience with DarkroomPro Magazine, enjoy it on the iPad! For those that don't wish to download the application but still wish to read the magazine on iPad (why, we have no idea... but apparently some folks request this option), tap the document and select the "Open in iBooks" button. It's here! 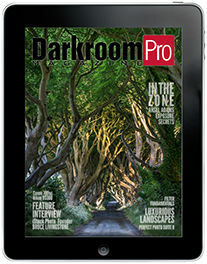 This landscape photography focused issue of DarkroomPro has hit the App Store, and is chock-full of great new stuff! Free PDF Version Now Also Available!